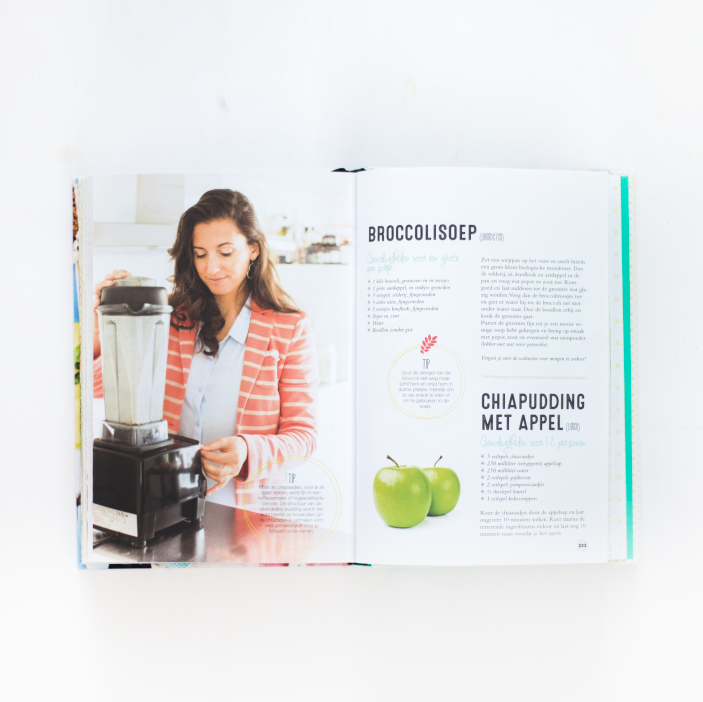 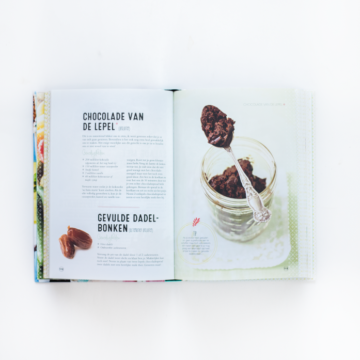 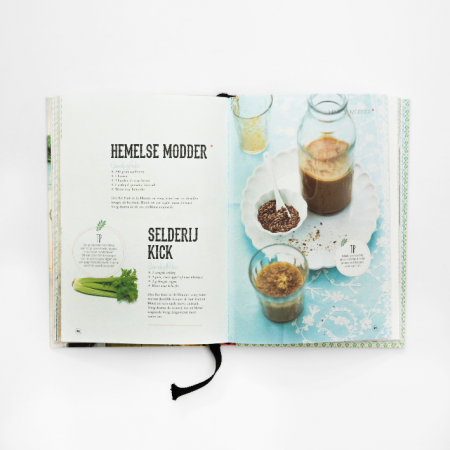 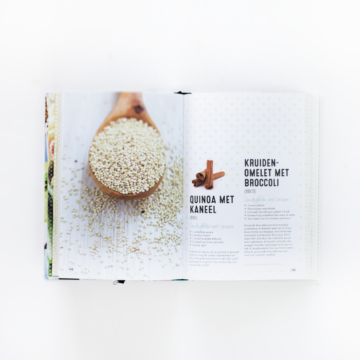 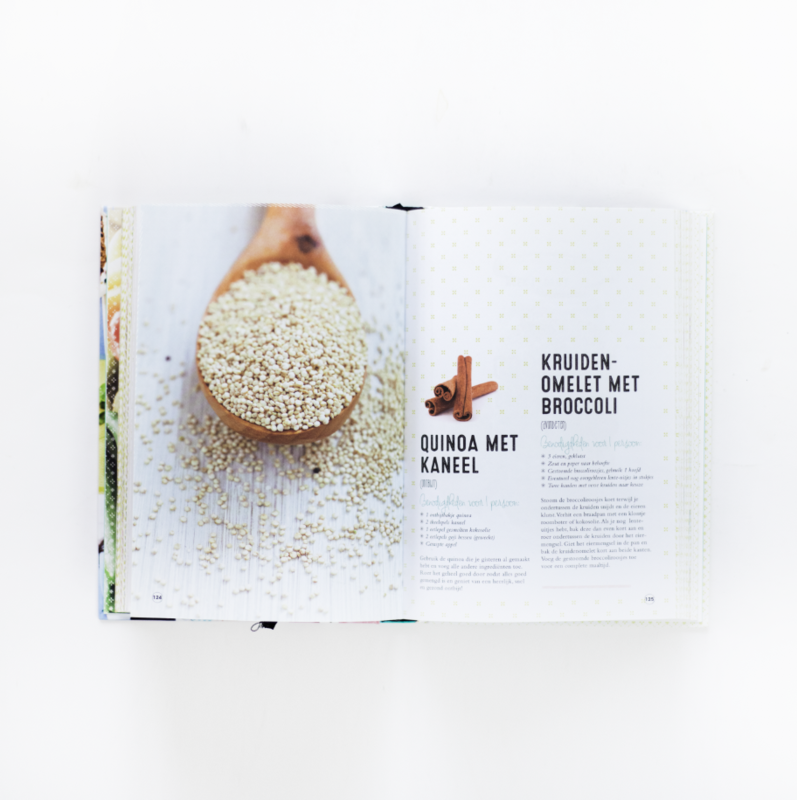 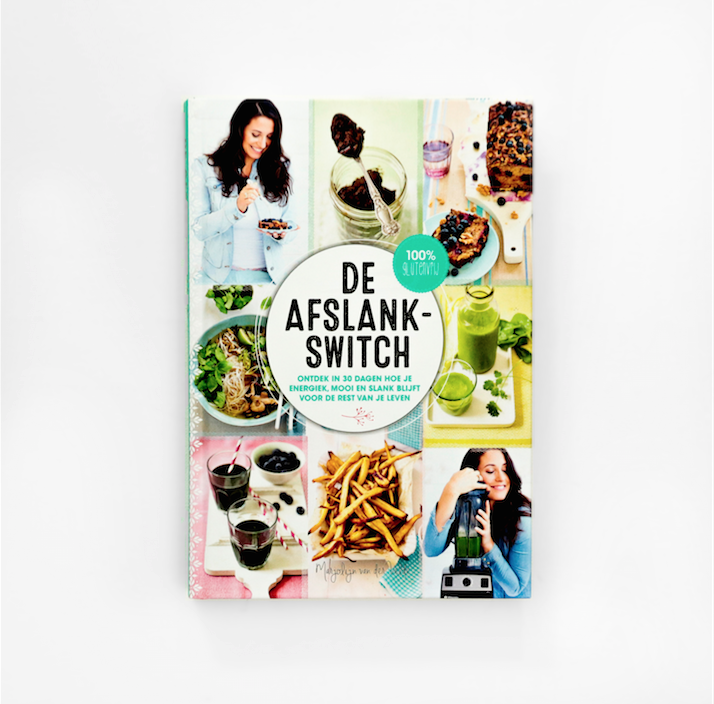 Afslankswitch is Marjolijn van der Velde’s second healthy food book. Being author and publisher at the same time, her goal was not to make one of the many diet books available, but to create a book with healthy recipes based on vegetables. 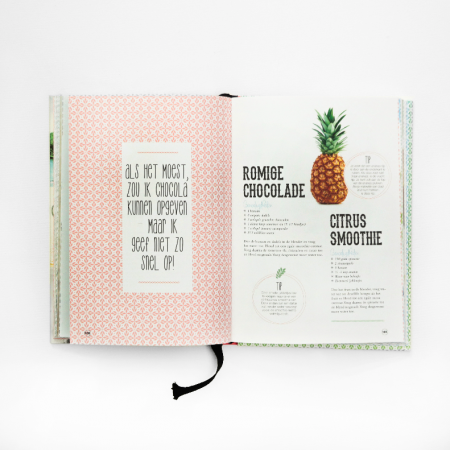 Without gluten, lactose and refined sugars, following the mealplans provided, you no doubt lose weight! 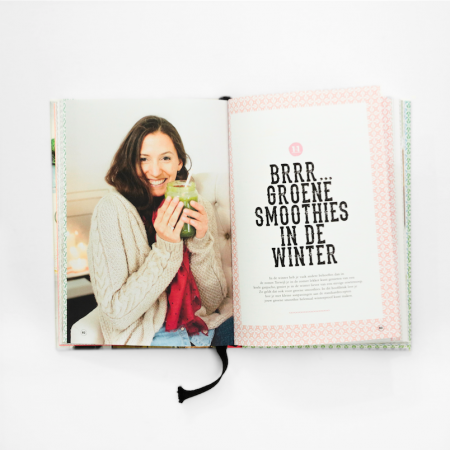 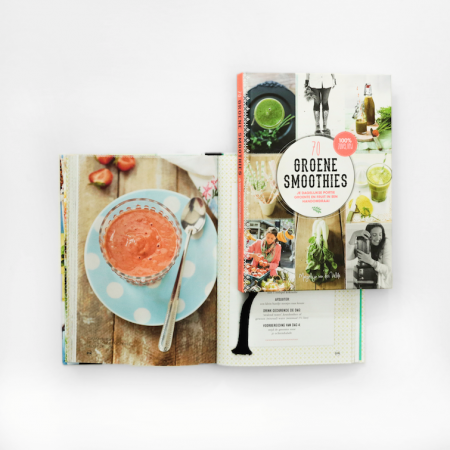 Following her book “Groene Smoothies” we designed together, it felt like a logic follow-up te make this one as well. In line of the first we used the same look and feel, soft elements and pastel colors highlighted with neon colors. 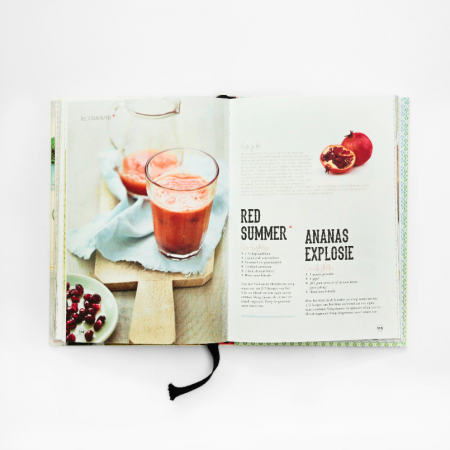 Clean and crisp photography making the book very appetizing.